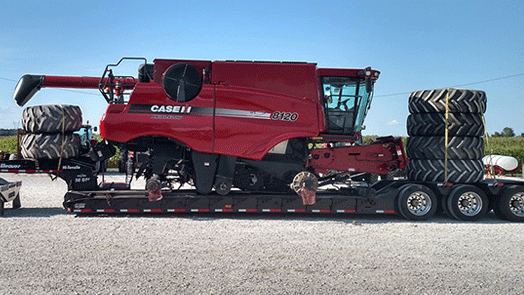 When it’s time to transport your newly purchased grain truck to its new home, you need a hauling company with the experience and knowledge to deliver it quickly and with minimal hassle. 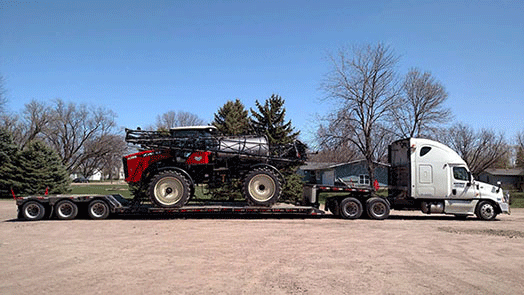 Tractor Transport has been towing farm trucks and equipment around the continent for nine years. 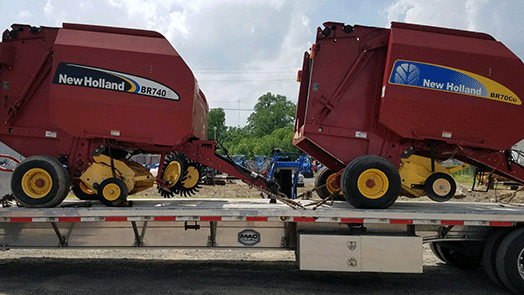 Our drivers have extensive training in handling oversized loads and how to move them under even the harshest conditions. The farm truck is defined as any truck that is used exclusively for agricultural use. 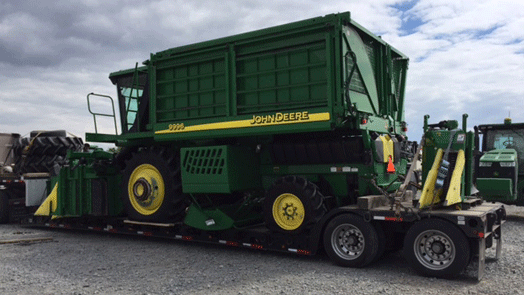 While domestic trucks are often included in this sweeping category, many farm trucks are heavier, commonly weighing more than 26,000 pounds. The grain truck is a specialized truck with an open box attached to the chassis that is used to carry grain, corn and other dry goods. 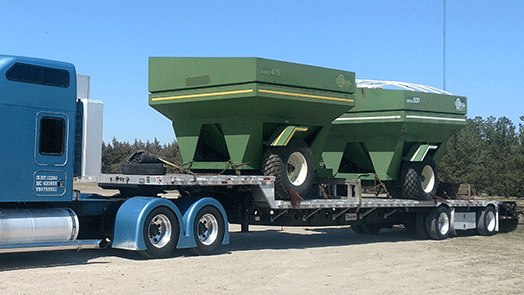 Some call it a grain hauler or hopper, which refers to the trailer of some large farm trucks. A farm truck can be one of many different styles and sizes, making it one of the more versatile categories in the trucking industry. 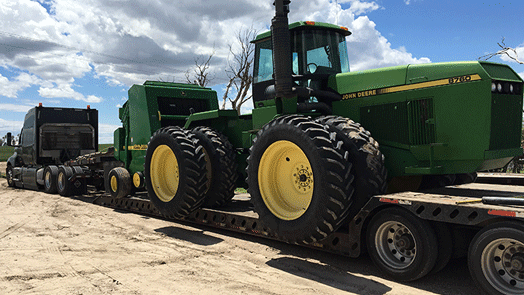 When you’re ready to add a new farm vehicle to your inventory, Tractor Transport will plan and coordinate your grain truck’s journey from start to finish. 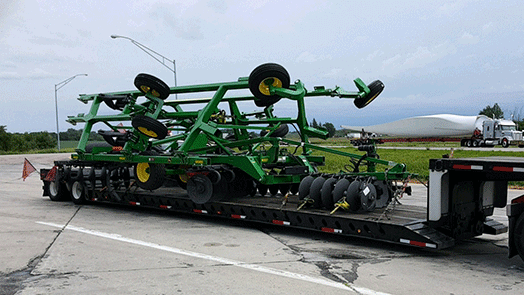 We secure the necessary permits to meet oversized load requirements and use specialized hauling equipment like the lowboy and step-deck trailer. 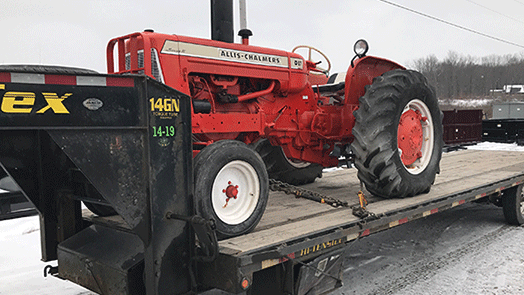 Tractor Transport is A+ rated by the Better Business Bureau; we maintain our glowing reputation by keeping customers like you happy. Give us a call toll free at (877) 373-0109 and speak with our friendly and knowledgeable customer service agents. Or fill out an inquiry form and let us know what we can do for you. 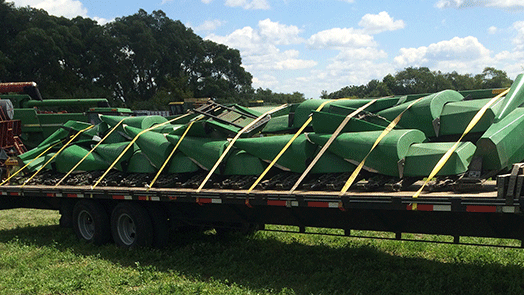 We’ll provide you with a free shipping quote and answer any questions you might have.